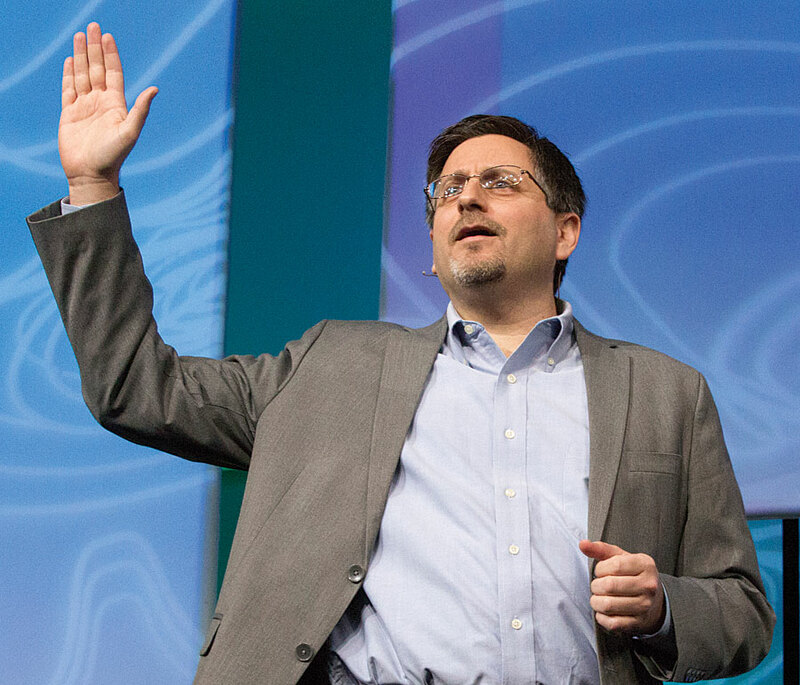 During the Plenary Session, Jim McKinney, Esri's chief technology officer for desktop software development, told the audience that they make the maps and apps that run the world. Developers and partners play a highly important role in the ecosystem of geospatial app development for Esri. They take Esri technology, customize it, and create apps for colleagues and customers, all while offering Esri feedback. These apps are used in various ways: to help companies plan and manage fiber-optic networks, enable utilities to track power outages, and aid scientists in monitoring climate change. If there’s a location-based job to do or analysis to run, there’s likely an app for it. 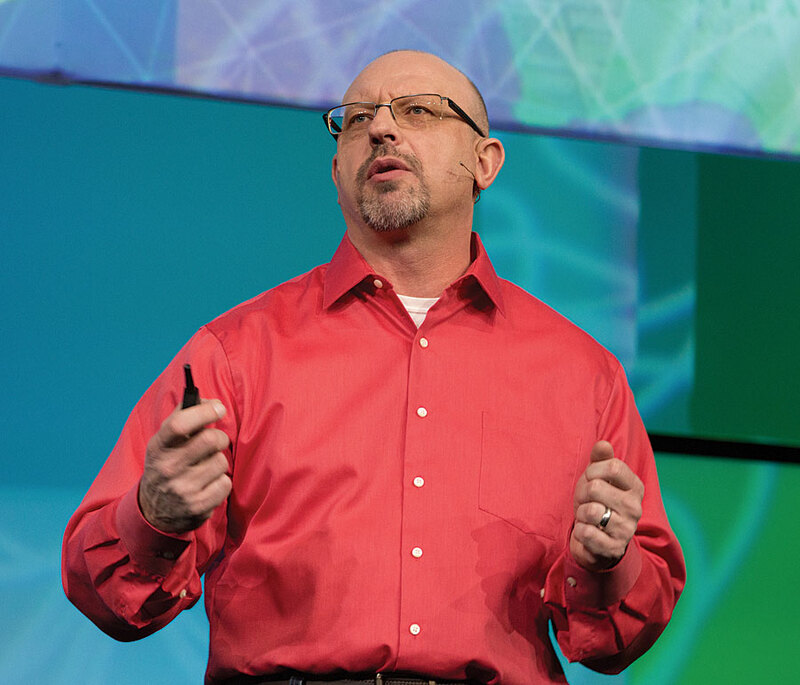 In opening the 2017 Esri Developer Summit (DevSummit) in March, Jim McKinney, the chief technology officer for desktop software development at Esri, underscored how crucial developers and partners are to Esri’s mission. “You, as developers and as partners, do make the maps and apps that run our world,” he told the audience of 1,800 people during the Plenary Session. 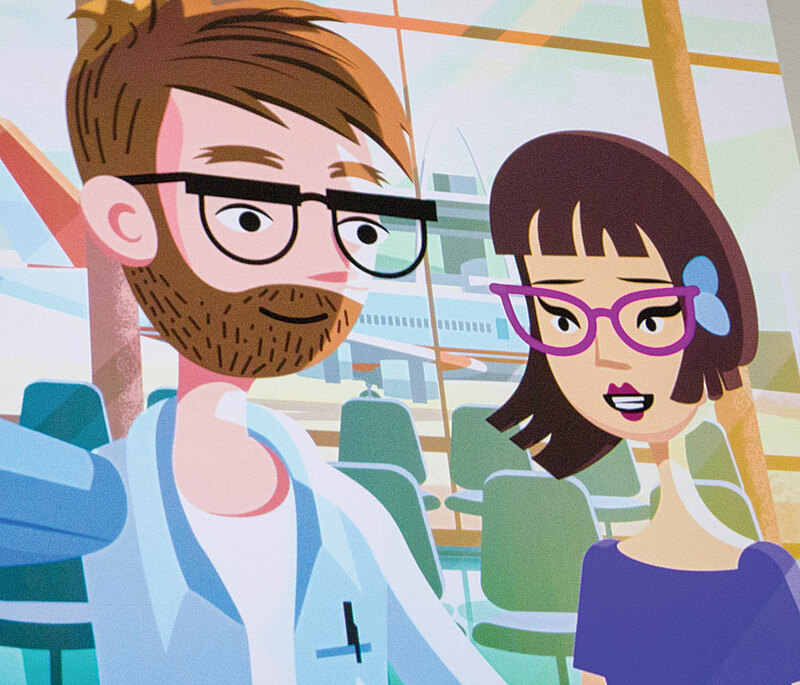 Esri's chief technology officer of developer technologies, Euan Cameron, informed native app developers about ArcGIS improvements that will directly benefit them. Andrea Hemphill, a system administrator for the Riverside County Fire Department in California, goes to the DevSummit every year to find out where Esri technology is heading. The event is always a learning experience. “It inspires innovation and to think outside the box,” Hemphill said. At the root of such innovation and outside-the-box thinking is what Esri president Jack Dangermond calls The Science of Where. “It’s the science of geography and the tech of GIS brought together,” Dangermond said in his welcome remarks. For developers who use the ArcGIS platform, melding geographic science and GIS technology to produce apps can be powerful. “The Science of Where transforms the world by unlocking the full potential of data within organizations everywhere,” Dangermond said. Esri partner 3-GIS taps into The Science of Where when using Esri technology to develop GIS solutions that help plan, design, and manage fiber-optic networks. Tom Counts, the company’s president and chief executive officer (CEO), said municipalities that invest in fiber-optic networks need to analyze data to find out where it makes the most financial sense to lay the initial fiber-optic cable. 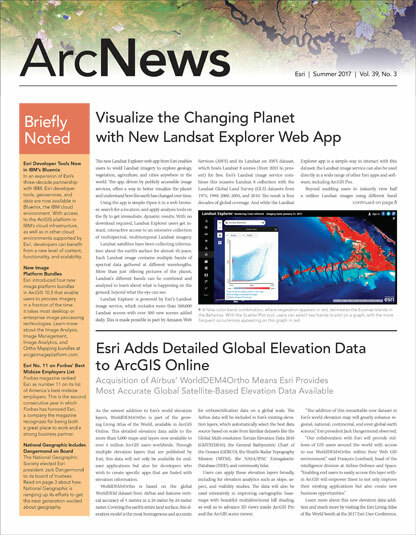 Sud Menon, Esri's director of software development, called ArcGIS Enterprise 10.5 "a really big release." The tech sessions led by Esri staff were popular with many attendees. Counts and his developers were devouring as much information as possible from the presentations. “What’s got me kind of jazzed [is] Insights for ArcGIS [with] the ability to allow our customers to get more value out of their data,” Counts said. He’s also excited about ArcGIS GeoAnalytics Server and its powerful new analytical tools that make sense of big data. “I [had] a bunch of guys in [a session]…absorbing as much about GeoAnalytics Server as possible,” Counts said. The summit’s theme is always For Developers, By Developers. The technical sessions and product showcase are built around that mantra, as is the Plenary Session, where Esri staff take the stage to talk developer to developer. Keynote speaker Todd Greene said that real-time data streams are altering what's needed from an infrastructure perspective. 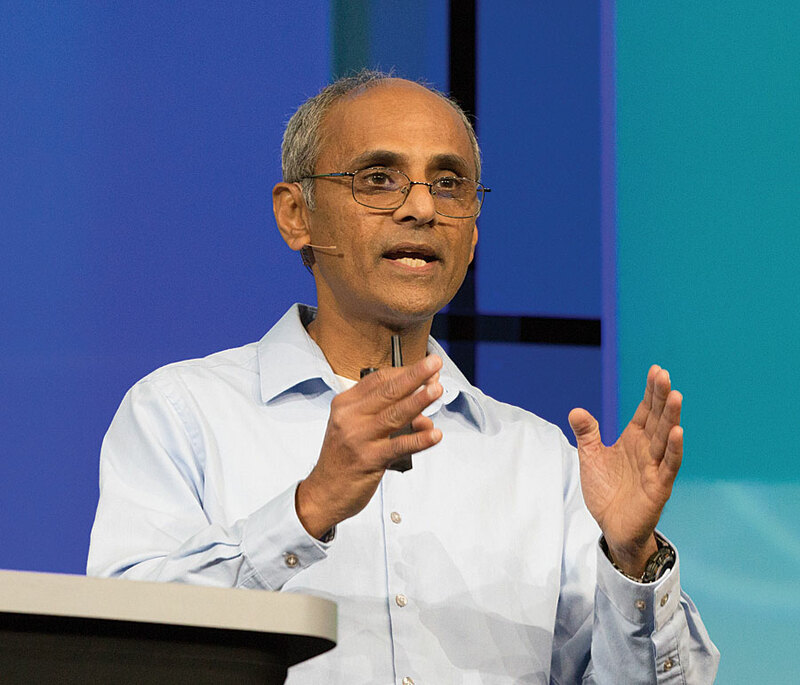 This year, Esri director of software development Sud Menon kicked off the presentations and demos with a brief, high-level overview of the ArcGIS platform, a system for managing and applying geographic information. But Esri added a number of new capabilities, such as the specialized servers, which include ArcGIS Image Server, ArcGIS GeoEvent Server, ArcGIS GeoAnalytics Server, and ArcGIS Business Analyst Server. “[The servers have] become more decoupled; they’ve become more focused on their purposes,” Menon said. 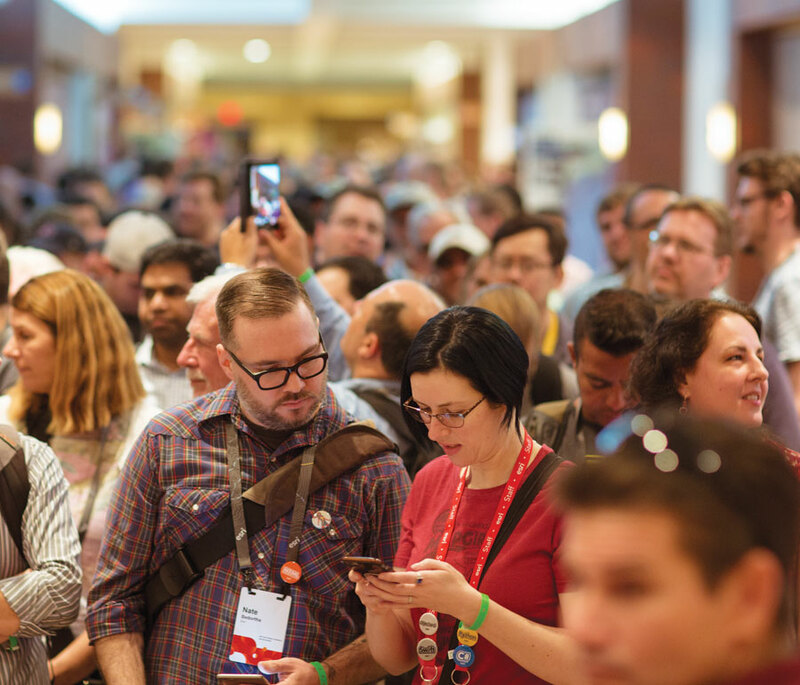 The 2017 Esri Developer Summit attracted 1,800 developers and Esri partners. ArcGIS Enterprise 10.5 also supports portal-to-portal collaboration, Menon pointed out. Enterprise systems in each department can share live content through a central, enterprise-wide portal using item replication. For example, in a large organization, departments such as operations, engineering, planning, and customer service could share information with one another. Menon’s subsequent presentation on ArcGIS Online included some eye-popping statistics: the cloud-based mapping platform has 3.8 million current users, 1 billion map views per day, and 18.8 million open data downloads. For native app developers, Esri’s chief technology officer of developer technologies, Euan Cameron, shared some good news: there will be two updates this year to the ArcGIS Runtime SDKs version 100.0. One of the updates, scheduled for November, will be for stand-alone apps. “It’s to support building apps that are completely stand alone from the platform…completely disconnected,” Cameron said. Developers using ArcGIS Engine or MapObjects to build their apps will be able to move to ArcGIS Runtime. Their apps will have superior performance, and they can target all the modern mobile devices. Cameron also introduced the new open-source ArcGIS Runtime Example apps, which focus on real-world scenarios. Built with ArcGIS Runtime SDKs, Example apps can help developers get started on their next Runtime apps. Dev Dude and Dev Diva are staples of the Esri Developer Summit. Sandie Peters, from Esri’s Android Runtime team, demonstrated an Example app for indoor mapping. Using the mobile Example app with an indoor map of Esri headquarters, she created a route from her office to the site of an on-campus meeting. The app even calculated the time it would take Peters to make the walk. Robert “Bert” Meier enjoys seeing what’s new from Esri each year. As an app developer and employee-owner at Esri partner Bartlett & West, an engineering and technology company headquartered in Kansas, Meier is always looking for timesaving technology. He does a lot of work for railway companies, creating complex mapping apps for managing infrastructure and property. Meier believes he has found a time-saver in AppStudio for ArcGIS. He arrived in Palm Springs before the official start of the DevSummit to take the presummit hands-on training session Build Native Apps Using AppStudio for ArcGIS. AppStudio for ArcGIS gives developers the ability to create mobile apps for iOS, Android, Windows, Mac OS X, and Linux devices by writing code once rather than having to rewrite the code for each environment. Attending the Esri DevSummit is important for Meier because he wants to keep up with what’s happening in the ArcGIS world and with technology overall. There’s a lot to know, and that makes Meier’s job challenging. Things also are changing fast in the world of live data streaming. 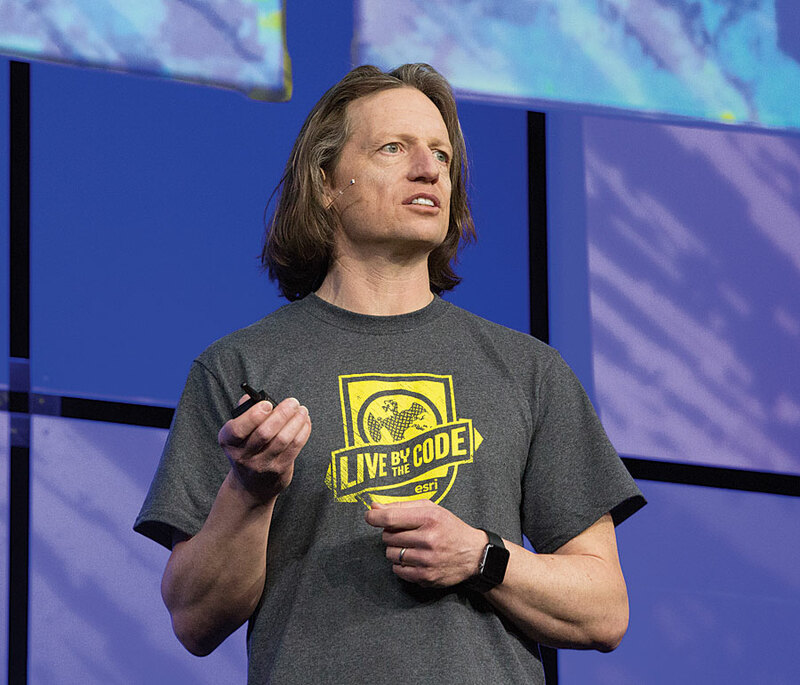 Todd Greene, cofounder and CEO of PubNub, gave developers a taste of what’s new and what’s coming next for data streaming during his DevSummit keynote speech. His company provides customers with a real-time data stream network in the cloud, as well as APIs for developers who create mobile, web, and Internet of Things (IoT) apps. In addition, the company offers real-time analytics, presence, and secure access control. “The demands of data streams and data stream-based real-time applications are completely changing what we need from an infrastructure perspective,” said Greene, who believes that data and technology are going through another big revolution. He said PubNub provides real-time communication APIs that let developers do things such as create real-time messaging apps and embed app logic in the network using PubNub BLOCKS, which allow developers to build real-time apps without worrying about infrastructure. Esri has released a geocoding BLOCK, for example, that gives developers the ability to use Esri’s geocoding service and apply it to real-time data. PubNub developers can use the ArcGIS REST API: World Geocoding Service to convert addresses or place-names into latitude and longitude coordinates and map them in their app. Greene said that PubNub’s network has a quarter-second latency period. “Any message that’s published in our network will be received by any other device in a quarter of a second,” he said. Common uses for PubNub’s real-time data stream network include chat, taxi dispatch, and smart home apps; multiplayer games; and drones that send real-time information to and from the Internet. Real-time data streaming also works well with mapping, according to Greene. He showed how a live data feed of community-sourced airline flight data published in PubNub could be displayed on an Esri basemap. “Usually you see explosions in the adoption of new technology—in this case, real-time mapping—when (a) the data and the APIs are available [and] (b) the ease of being able to leverage them is exposed to a much wider audience,” he said. Greene’s talk fascinated app developers, including Jamie Thompson from Esri partner GEO Jobe.